We were inspired by one of our favorite podcasts, Start-Up, to kick off a new series this week. 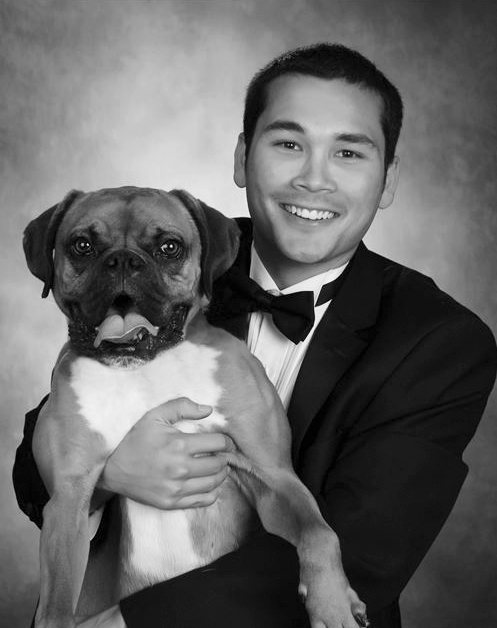 Over the course of the next year, we’ll be following Kyle Goguen, founder of Pawstruck, to see what it’s like for a successful business to try and take their company to the next level. We’ll be checking in with Kyle every few months to see if he’s ticking all the boxes off his 2016 “to do” list. Today Kyle lays out his key goals for 2016 along with his worries about the coming year. Join us as we chronicle both the highs (and hopefully very little lows) over the next twelve months. Andrew: Welcome to the eCommerceFuel podcast, I’m Andrew Youderian. A lot of time on this show, and in the business world in general, we tend to look at businesses in the rear view mirror, at their past and their successes. But there’s something really interesting and exciting about following a business in real-time when you’re not sure what’s going to happen. Take for example Start-Up by Alex Blumberg, one of my favorite podcasts. There’s something I really respect about someone who’s willing to put their goals on the line publicly as they chase them. I think that’s really admirable. In today’s episode brought to you by Laura Serino, our producer here, we’ve got something that combines a little bit of both of those, so I hope you enjoy. Kyle: Hi, everyone. My name is Kyle Goguen, and I own Pawstruck.com. 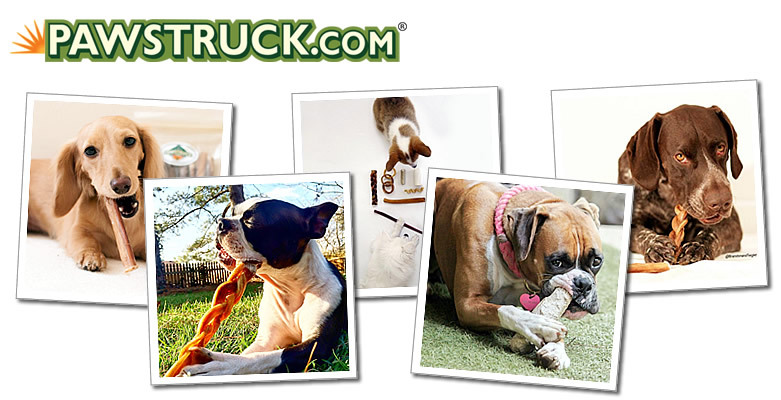 Pawstruck.com sells healthy, natural dog treats, including bully sticks for dogs and food online direct to consumers. We’ve been in business about a year and a half now, started in June 2014. Laura: Kyle’s a member of our eCommerceFuel community, and I first met him last year at our live event in Nashville. Kyle’s motivated, successful, driven, and he’s only 25 years old. He first got his start selling online where lots of people from his generation did, on eBay. When he was 16, he responded to an ad on Craigslist from a guy looking to hire someone to help him list items from his garage. Kyle: So I found the job, I responded to the guy, we set up an interview, and then I told my parents. And as you might imagine, my parents were questioning exactly what I would be doing and where this was and who this person was that was hiring me to basically sell stuff on the internet. So my dad in a very parental, embarrassing way, kind of forced me to let him come with me to the interview, and he forced his way there, I guess, and he made me let him meet my boss, I guess. So it was a very awkward interview, having my dad there asking questions as well. But once we got through all of that, yeah, basically I would go out this guy’s…he kind of had a warehouse, and we would just look through all the electronics, and I would pick and choose what I wanted to list for that day, and I would take out a camera which happened to be a camera that we pulled from the inventory, take photos, upload them, and list anything I wanted, and whatever I sold, I would make commission on it. It was definitely an interesting first job, very different than anything any of my friends were going through, but it was really nice kind of learning this skill, and also it was very flexible. As much as I listed was as much as I was going to make, and if I didn’t want to work I didn’t have to, or if I wanted to work more, I could. So it was really up to me as to how much I was listing and selling. Laura: Kyle continued to sell on eBay into college to make money. In his graduate program, he was taking an entrepreneurship course, and for his project, he decided to use the pet industry as a model. As a dog owner, he was hearing more and more backlash about products that were making animals sick, and he saw the need for more U.S. manufactured pet products. The idea stuck. Kyle: I’ve been a dog owner my whole life. I had my boxer at college with me. I was hearing more and more on the news about issues with dogs getting sick from low quality products from overseas, and kind of the light bulb went off in my head that I’ve always wanted to get into e-commerce, I’m a dog lover, there’s kind of this opportunity there to kind of combine all of my interests and skills, so that’s where Pawstruck.com came into play. It just made complete sense for me to start a web-based company based on my schedule, and it was something I was really interested in doing. So that’s how I got my start, I guess. And in my mind, the pet industry follows the human world in a lot of ways. So I’m sure you’ve seen humans being more conscious of what they’re putting in their bodies. The same thing is happening for their dogs. Dogs are no longer just a pet. They’re part of the family. And so owners are starting to really care about what their dogs are ingesting, and I think that’s not going to change. I think it’s going to continue to grow. So I think it was just a great opportunity, and it kind of fit with what I was interested in already. Laura: Pawstruck first launched with their own branded products, but he started to hear that customers wanted a shop where they could buy everything they needed for their pets, not just Pawstruck products. Kyle: Hey, we love your products, but why not offer other things so if I’m shopping for my dog I can buy everything I need in one place, as opposed to shopping from you, going to Petco, PetSmart, shopping other websites. And so that kind of made sense to me, and so we started carrying some other brands, different variety of products that we couldn’t, I guess, source ourselves. And that’s still part of the plans in 2016, is to kind of build out that product offering and be a little bit more of a one-stop shop than we were previously. Since our customers are loyal to us, why not give them the opportunity to buy other brands that we trust so that they can shop in one place instead of multiple. Laura: Now that you’re over a year and a half into the business, do you have any kind of big takeaways that you kind of wish you had done differently and that you plan on shifting over the next year? Kyle: Yeah, definitely. The one that stands out, and I was thinking about this a little bit, it’s something that I brought up quite a bit at ECF Live. I went to the conference, and everyone was asking the same question, and it was the one thing that I kept saying, and it really is true. Looking back, I would have delegated faster. I kind of have a tendency to try and do everything myself. It goes all the way back to my eBay days, right. I told you guys I was listing all the products, selling all the products, shipping all the products, talking to customers. I did everything myself. And so that kind of led me into that same mindset with Pawstruck. Laura: Currently on his team is a web developer based in Chicago, a PPC agency, someone helping with marketing, but most importantly a new warehouse manager. This is a big goal of Kyle’s for 2016. Kyle: We already had a couple people working in our warehouse doing fulfillment, but this person, I’m grooming her to be kind of the warehouse manager, I would say. So she has a background in it, and right now she’s just learning the fulfillment side of things, but my goal for her is to kind of take over a lot of the inventory management, so purchasing, receiving, even Amazon FBA, all of those sort of things that I’m doing that kind of make it tough for me to focus on a lot of my goals. Laura: Part of Kyle’s warehouse problems really came down to location. Kyle’s in southern California, but his warehouse is in a small town in the midwest. Kyle: I’m just physically not there, so it’s something that I can’t do from a physical inventory standpoint so a lot of it is me doing it remotely which causes a lot of issues because I’m not there to physically see the inventory. I’m doing it based on what someone else is telling me. So it’s not as accurate as I’d like it to be, plus it takes up a lot of my time. So I want her to be kind of my eyes and ears in this warehouse, and she can be more accurate, be more efficient, and really open up my time to do things that are, I guess, more important in my eyes, really driving the sales. Obviously, fulfillment is extremely important, but once we get that running, that should scale on its own as we grow, and I really need to focus on finding new customers. Part of the problem we had, part time workers doing the fulfillment, and I can’t really blame them for what their job responsibilities were. They weren’t quite as invested as I would have been there, making sure everything’s correct. So there were issues where maybe they weren’t paying enough attention or it wasn’t being closely looked at, so that’s why we hired this person. So she, hopefully, will take ownership of this warehouse and make it her own. I will be giving her the reigns to kind of do what she’d like with it, obviously with my, I guess, approval and my help along the way, but I want her to kind of take this over as her baby, and hopefully that will alleviate a lot of the issues I was experiencing before. Laura: If all goes according to plan, fulfillment will no longer be a worry for Pawstruck. Kyle: My goal in 2016 is that she will have obviously learned the basics of fulfillment, and from there, I’ll be able to train her on purchasing, receiving, just managing that inventory as a whole and that warehouse, keeping everything organized, keeping me in the loop, communicating really well so I can focus on other things. So my goal is, and I’m really crossing my fingers that she works out, that in 2016 I’ll have her kind of locked in to what I’m hoping she’ll take over, and I can focus on other things as soon as that happens. Laura: And then there’s Kyle’s second biggest goal for the coming year, Amazon. When Pawstruck first launched, they were only selling on their website and on eBay, but since moving to Amazon only nine months ago, they’ve been selling like crazy. The only issue has been trying to keep things in stock. Kyle: 2015, we had lots of issues with being out of stock on Amazon FBA. We do Amazon FBA and also merchant fulfilled, but we’re trying to move more over to FBA, and we had a lot of stock outs. We’ve been selling on Amazon about eight to nine months, and it’s been growing like crazy which is obviously a good thing, but that made it very difficult for us to keep things in stock. So this year, I want to focus on setting up the systems and the plans to keep everything in stock all the time or at least as close to that as possible because I’m basically leaving money on the table every time when you’re out of stock, and I also know that hurts the Amazon rankings as a whole. If you’re not selling and you’re out of stock, you’re kind of not going to show up as high on the search results. So it’s extremely important that I get this figured out, and with the hopes that Amazon obviously grows for us so that it’s going to be even more important to be taking care of the inventory and getting it sent in when we need it. Laura: Were you a little hesitant to go onto Amazon, or were you always ready to sell there? Kyle: So, I was hesitant in many ways because I’d never done it before. From the get-go, I set up all our products on eBay just because it was what I knew. Since then, I’ve realized eBay is fine and we do continue to sell on eBay, but Amazon is by far the best channel outside of, I guess, my own website to sell our products. We do sell other brands on our website, but we do not sell them on Amazon because I just personally don’t want to get into the hassle of competing for that buy box and those price wars that are pretty much guaranteed to happen on Amazon. So we’ve stuck to our branded products on Amazon, and they’ve been doing really well. So I think that’s a huge opportunity for us moving forward. A little bit scary because you’re kind of reliant on someone else or some other business really. Amazon could change their rules or regulations tomorrow, and it could put us out of business on Amazon or really cut into our margins, but as long as we’re focusing on the website as well, I kind of see it as a great opportunity, like you might as well take the money while it’s available. And I don’t see it as necessarily a guarantee in the long run, but I’ll for sure take advantage of it for the time being. Laura: Kyle’s third goal is one lots of store owners struggle with, email marketing. It’s something he’s left on the back burner for a while. This year, he wants to gather more customer emails, produce more quality content on the blog, create downloadable guides to gather more leads, and then really focus on sending out those newsletter type emails to get people to the site. Kyle: So email marketing was on my list of goals in 2015. That didn’t really happen so it is now being rolled over into 2016 where I hope it will finally be checked off the list, I guess. So my goal is to implement a consistent email marketing plan. We use Klaviyo which we’ve been happy with, but I haven’t really used it to its full potential, I guess, you could say. These holidays were the first time we sent out real promotional emails which was great, and we saw a terrific ROI, but we’ve been kind of doing it on the fly. As soon as a holiday pops up or there’s a reason to send an email, we send it out, but I haven’t been able to plan ahead, and it’s been so inconsistent. So I really want to create a content calendar where we’re planning out these emails in advance, getting them scheduled, so that we know they’re going out to our customers, and then also continuing to automate as much as possible through Klaviyo. So I really want to segment our list based on average order value or lifetime value or I guess, when they purchased last. Because our products are consumable, it’s really important for us to email them kind of as soon as we think they’re out of that item and convince them to come buy from us again. Laura: What are some of the challenges that you maybe anticipate happening that may or may not be out of your control as far as kind of the competitive landscape? Is there anything else you’re kind of hoping to do that will differentiate Pawstruck? Kyle: So the way we’ve kind of positioned ourselves is a website that carries the highest quality products at prices that, I guess, dog owners can actually afford. So if you were to look at products of our caliber in a brick and mortar shop, it would be significantly more expensive. When you look online, you really won’t find our level of quality at the same price. I guess we try really hard to show our customers how much we care, that we’re dog owners ourselves, that we would only sell things that we would give to our own dogs, and I think customers really respond well to that. Our demographic, they’re not ones to go shop in your grocery store and buy products necessarily. They want to know that they’re getting the best products from people who actually know what they’re talking about. So I think that’s how we differentiate ourselves from a lot of our competitors. The big guys, they just sell too many products to really know everything on a granular level. So that’s where we’re kind of towing a line. We want to carry other products, but we only carry things that we would trust and that we know everything there is to know about. So I don’t think we’ll every try to grow to the point where we’re carrying thousands and thousands of SKUs when we don’t know everything there is to know about a certain product. Laura: Kyle had some lofty goals for the coming year and I had to ask, was there anything that he was losing sleep over? Kyle: I guess one thing I could maybe mention that makes me nervous is the people that we’ve hired to help out, right. So I mentioned the marketing person and the warehouse person, and I guess the warehouse person in particular. It just makes me nervous not knowing yet if she’s going to be able to fill the role that I’m hoping she will be able to. I think she will be able to, but there’s no guarantees, right. She could leave next week if she wanted to. So that scares me a little bit because I know how hard it was to find her in the first place. So if she were to leave, not that things would shut down, but I really would have to start focusing on that again. I, theoretically, might even have to fly out there and start filling boxes again on my own. Those sort of things scare me, things that I’m not directly in control of I guess. Laura: Let’s fast forward to January 2017. What will have happened in order for you to say, “I did everything on this list,” or at least make you feel like, “You know what? We had a really good year. And even though every one of these three things, we didn’t nail it, it was still a really good year”? Kyle: Sure. So I guess for my goals, I’d really like to kind of double at least the top line revenue, and then I would say reach those three goals. I think, in my eyes, I set up goals that are realistic and that I think I really can reach. So I would be disappointed if I don’t reach those three goals by the end of this year, with the caveat that, I guess, the warehouse side of things is a little dependent on that person I’m hiring. So that one is a little bit more up in the air. But for the other two, those really are on me. So I for sure want to make sure the Amazon FBA is set up properly, and we’re getting inventory in stock. And then also from an email standpoint, that’s on me to get done. So to have a good year, all of that would be completed and revenue would double, I guess, is my goal. Laura: What about a crazy goal? Do you have anything that you don’t dare say because we’re recording, but that you kind of secretly would be amazing if it happened next year for you? Kyle: Yeah. I guess for me it would just be coming down to revenue. If somehow it, instead of double, triple, it went up ten times revenue next year because for whatever reason, because we get picked up in a bunch of news articles or someone blogs about our website or we figure out a way to really nail the PR side of things, that would be obviously awesome, to scale up that quickly would be terrific. I wouldn’t say I’m relying on something like that happening. Obviously, it’s going to take a lot of work by me, but I’ll take it obviously if, for some reason, it just blows up in the next year. That would be terrific. Kyle: If I took a week off and didn’t answer emails or didn’t work on inventory issues or the website, the website would shut down, the business would shut down. So by the end of the next year, I want to set up the systems and, I guess, the personnel in place so that if I do want to take some time off and completely unplug, I can. And that would be awesome to be partially location-independent. Because this is an e-commerce company, and I’m not handling fulfillment myself, it would be great to be able to pick up and leave for a period of time and work from wherever I happen to be. And so that would be, I guess, my personal goal, so I can take an extended vacation and, I guess, finally unplug for the first time in, I guess, quite a bit. Laura: I hope we get to talk while you’re in Bali or something this year. That would be great. Kyle: Yeah, that would be awesome. Laura: Thanks so much for tuning in today. If you want to chat with me or Kyle in real time, consider joining us in the eCommerceFuel forum, our private community for six and seven figure store owners. Learn more at ecommercefuel.com/apply. If you’ve got questions for us about this episode or want us to address anything in our next one, hit us up on Twitter @pawstruck_pets or @Laura_Serino. Thanks for tuning in, and Andrew will be back next week.